How much exercise should kids in the UAE be doing per week? Do children in Abu Dhabi, Dubai & Sharjah get enough extra-curricular exercise? How can parents in the UAE ensure their kids get enough weekly exercise? We asked a professional children's fitness personal trainer in Sharjah for his thoughts. Adding more exercise to a child's routine has amazing benefits as they grow. of food that majority of children consume in the UAE is either processed or has high amounts of refined sugar. So it could easily be stated that if your child is spending most of his/her time on electronic devices most of their caloric intake is easily converted into excess body fat, and that also has an impact on their mental health, such as your child might feel symptoms of anxiety and depression. In the UAE many children do not take part in any kind of extracurricular exercise activities. As a personal trainer in Sharjah who has experience with children’s fitness why do you think children of all ages should be exercising more regularly? 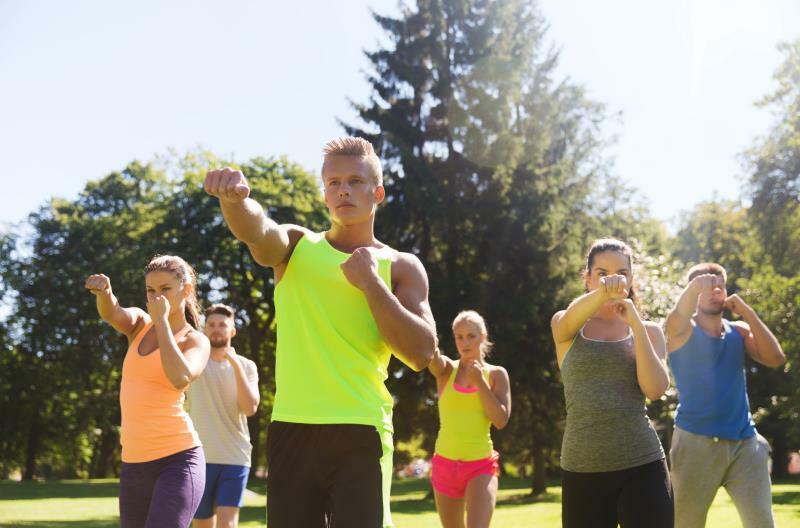 Exercise is a great way which is proven to reduce stress, as it enforces the release of hormones such as Endorphins, Dopamine and Serotonin which our produced in our brain and our distributed throughout our nervous system. These hormones play a key role in our sleep cycles, reducing stress, anxiety and also increasing our confidence and regulating our moods. As a children’s personal trainer in Sharjah I believe exercise is also a great way for students as well, as during exam seasons 20-30 minutes of exercise per day could aid children to score better marks during their exam by reducing their stress, improving their overall focus and also better long term memory by stimulating the release of dopamine, which are many of the proven mental health benefits a child could gain by regular and consistent exercise. It also a misconception among adults that exercise could be linked with factors that could stunt a child’s rate of growth, well that fact has yet to be proven although what has been proven is that exercise increases the rate of growth by stimulating the release of anabolic hormones such as testosterone and growth hormone. For parents in Sharjah who are concerned that their children do not get enough exercise how many hours of physical exercise per week would you recommend for children? 60 Minutes of regular exercise per day for 4-5 days. Although in order to be consistent with exercise, Our DiFit training program for kids in Sharjah & Dubai emphasizes on not only getting your children fitter but also changing their perspective of regular exercise, to view exercise as a medium that could enhance their abilities and not as a burden. Until now due to our successful approach many children have been able to make exercise a part of their regular routine, not only that but they also thrive to follow a healthy lifestyle after experiencing the benefits of incorporating exercise into their regimen. As a professional kids fitness PT what are your top 5 exercise techniques for children and can you explain how and why you believe they work well ? Olympic Weightlifting Movements – These movements are great in developing components of fitness such as power, explosive strength, neuromuscular strength and flexibility. Although initially In the sport of Olympic Lifting technique plays a vital role and children are taught the movements with a PVC pipe. As children grow older they get progressively stronger, Majority of world class weightlifters have taken up the sport at an early age and are phenomenal athletes. Running – It is a great way to build endurance, stamina and improve our aerobic capacity. Exercises that resemble Animal Movements – Some of the names of these exercises are Bear crawl, Inchworm, Spider crawl, horse walk and there are many more, generally these movements have an element of fun and also provide a challenge. Thrusters – A compound movement which involves the upper and lowerbody, basically it is a front squat to a press. This is exercise is often used for developing muscular endurance, As well as upper and lower body strength. Controlling food habits and counting calories is not practical in most students cases. To balance calories, kids must also engage in a proportionate amount of physical activity in order to avoid laziness other lifestyle diseases. Regular workout helps to get them better sleep and regulate blood sugar levels. Get more sleep, and your brain produces another type of hormone that actually suppresses appetite. In most of the fitness centers in UAE focus on fitness of adults. However Difit have special physical training programs for kids aged 6-18 years. 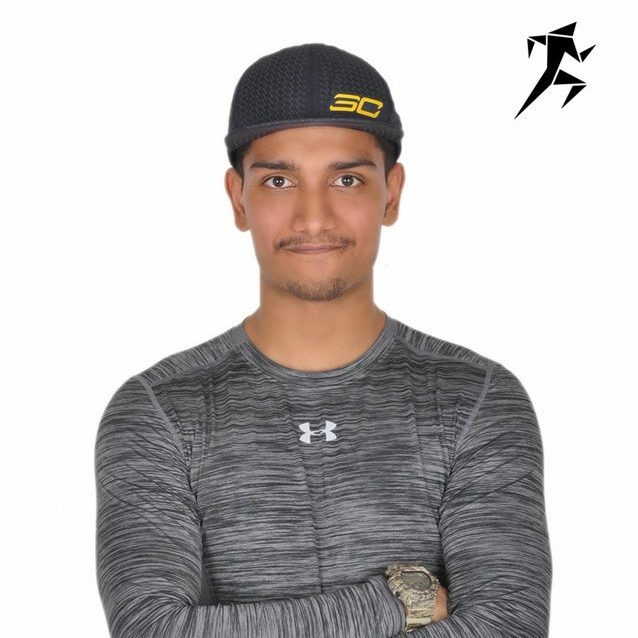 Musa is a personal and group fitness trainer based in Sharjah, UAE. Having experience in many different fitness methods Musa can create the perfect customised training plan no matter what your personal training goals are.